Each year on the first Saturday in June it is National Trails Day. Events held throughout the United States help promote awareness of the wide variety of benefits that trails provide, encourage people to discover their local trials, raise awareness of trail issues and instill excitement for the outdoors. Trails are for more than just hiking. Trails provide access to waterways for canoeing and paddle trips, running, bird-watching and geocaching are some other favorite activities. National Trails Day is also an opportunity to thank the many volunteers, land agencies, trail developers, park employees, rangers for their help in developing and maintaining the trails. 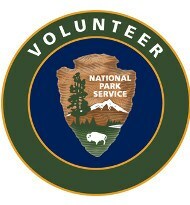 This year the CRNRA VIP’s will be working the trails at Hyde Farm in Marietta. Please come out and join us or just have a wonderful day enjoying your National Recreation Area.